We provide easy, flexible and secure Manchester storage solutions to hundreds of homes and businesses throughout Manchester, Cheshire and parts of Lancashire. Our coverage area includes all areas within approximately 25 miles of where we are based and our secure storage facility is conveniently located in postcode area M23 within 5 minutes of the M60 and M56 motorways. 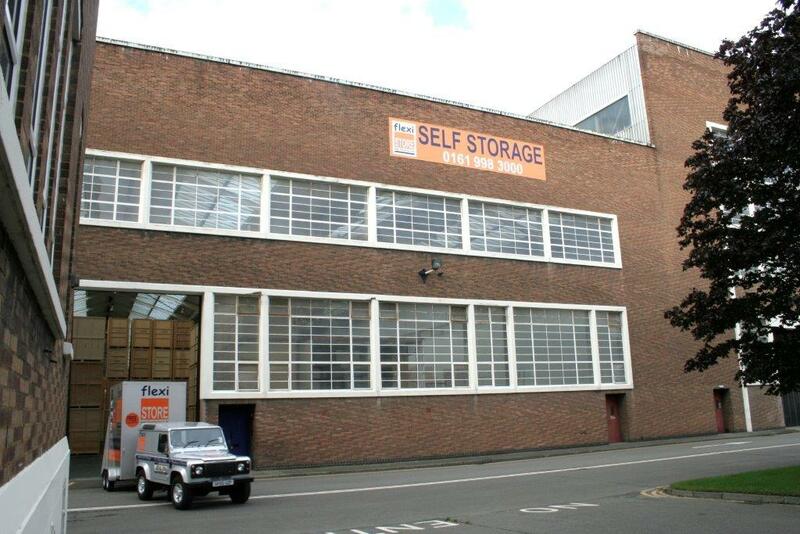 Our Manchester Storage facility is protected by a security gatehouse, manned 24 hours a day. Access to your storage vault can be arranged 24h, and it is free of charge. If you’re unsure about something, check our Frequently Asked Questions. You’ll save money as you won’t have to hire a van or a removal company to get your things to the storage centre. You actually won’t have to leave your house or office! Your belongings will stay in the vault the whole time, which will reduce the risk of damage from handling. And guess what the best thing is? Our services won’t break the bank. Apart from our flexible mobile self storage services, we also offer packing materials, a full records management service, a loading service as well as shipping services. Click on the blue button below to fill out our hassle free enquiry form and receive a storage quote from us. You can also email us through our enquiry form. If you prefer to speak to someone, call our storage Manchester office on 0161 998 3000 or fill out our call back form and we’ll give you a ring when convenient for you. Our Manchester store is only 5 minutes from Junction 5 of the M60. Leave the M60 at Junction 5 and follow the A5103 south for one mile. At Junction 3A leave the A5103 and take the A560 Altrincham Road west for one mile. Turn left at the Post Office off the A560 into Southmoor Road. Flexistore is in Southmoor Industrial Estate half a mile down Southmoor Road on the right.